Perfect presentation as always with a nice classic background! I really like how you've managed to make the house look like it's gotten a few hits from a union cannon. Brickster you are on fire at the moment! Got your MOCassins on no doubt. This is a really nice Civil war era build. Even managed to get a Cypress tree in there too. Good stuff. The Confederates are bawesome, great use of Adventurers torsos. Very cool, I thinkl my favorite thing is the guy with the fire waiting to launch the cannon, Ik'm sure I've seen it before but it looks so perfect! Thanks for the feedback guys. I always enjoy reading your comments. Because of the tan wall in front, and in the back, the real deal looks a lot better than the image. I'll take a few more from the top to give you a better look - this was a bit tricky to photograph well. Got your MOCassins on no doubt. This is a really nice Civil war era build. Even managed to get a Cypress tree in there too. good one. I haven't heard that one before. Oh yes, I love those cypress trees. Definately a part of Wild West history that was missed back in 1996. I actually thought about that as well. I was originally going to call this creation, "Abandoned Farm House", but I liked the hideout name better. I think my favorite thing is the guy with the fire waiting to launch the cannon. I think a perfect cannon for the WW theme. I like the longer design with the metallic look. I really like the half torn down house design. One challenge: turn it into a playset and make it "shootable", so that after a heavy canon battle, this is what's left of the house. As what ISC has mentioned, you are indeed on fire and I am glad to see you building actively over the Wild West creations. I always fancy MOC hideouts. 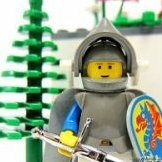 Regardless whether its medieval, adventures or wild west, these kind of MOCs are for fun playing ambush related scenarios or for escaping purposes. I like the way how this cottage destoryed over the times of war, and having the solders making a hideout in there, defending against the enemies. Keep on building, my friend! 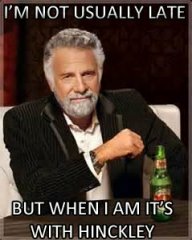 Most excellent! It looks like a real set, nice building too. That's a great Western MOC, TheBrickster! It looks very realistic and the tan color fit very well! Nice use of the lovely cypres tree (of which I sadly do not own one). Btw: Does the house include some interior? Creating something destroyed is tricky. The damage of a hit causes random shapes and forms. You managed to set this in scene excellently! I am curious, and if allowed I'd like to ask where you get all these nice LEGO-like background images? Considering your skills in imaging technique I assume you created them yourself, too? Very simple and very cool. I like the roofs. I wonder if you used some technic 1x1 bricks with round holes, rather than the square holes. And, I must say, I'm quite jealous of your background making skills. Very nice Brickster. The bombed out building is nicely done. Just some possibly useful background info, there was Confederate force out west. Commanded by General Sibly with task of uniting California to CSA. Awesome! You have the start of an amazing theme. I love the MOC. The colors and design and the various elements work so well together. You really created something that seems as if it could really have been produced by Lego. Fantastic job TheBrickster! I love the use of tan: my absolute favourite Lego colour. Where did you get those curved tan pieces for the wall section? The whole house is great, a nice simple look that really evokes "classic" Lego. The cannon set up is quite nice too, I love that tree too. Fantastic background as well. Another worthy addition to the Western genre! Thanks for all the great feedback guys. I'm glad you like this MOC. That's a good suggestion KD. I had not thought about using a hole brick. Does the house include some interior? Yes - just a little though. Most of my energy was spend building the exterior. See pictures below. I'd like to ask where you get all these nice LEGO-like background images? Considering your skills in imaging technique I assume you created them yourself, too? Yes - custom made. I've been experimenting with some different backgrounds though to add more greenery associated with a Southern battle field and Civil War boxart. I wonder if you used some technic 1x1 bricks with round holes, rather than the square holes. As KD mentioned, a very good idea as opposed to the square holes. I must admit that I'm still a little partial to the Grave Stone backdrops; but thanks. Just some possibly useful background info, there was Confederate force out west. You're absolutely correct (from what I know about WW history). Thanks for pointing that out. Love the wrecked look. Very nicely done! You really created something that seems as if it could really have been produced by Lego. The look that I was going for - thanks. I love the use of tan: my absolute favourite Lego colour. Where did you get those curved tan pieces for the wall section? Thank you BB. I'm partial to tan as well, and have a pretty good supply now - from Grimwell Manor. The round wall pieces did come in handy and are from Harry Potter's Sirius Black's Escape. Thank you again for the feedback. The comments really help motivate me to build more. I've always wanted someone to make a Civil War MOC, and this is great! Definitely looks like something Lego would have released many years ago. Just one thing: Why the desert background? Most of the Civil War was fought in the East. Fantastic work, The Brickster! If I saw this set in a shop, I'd whip out my wallet faster than you can say "Yankie Doodle". Everything works so well. Are the minifigs tweaked in any way? The guy holding the torch looks particularly battle-weary, poor guy! I presume the torsos are from Indy or something like that (to my shame, I can't recognise them first hand). The guy on the upper level has an interesting torso, I don't think we have that one in our collection Unfortunately, I doubt LEGO will ever release any sets like this, being based so closely on history. 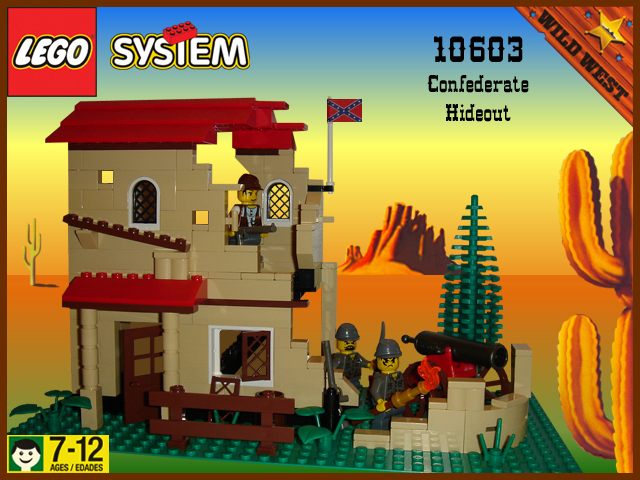 Nice one Brickster, a very strong addition to your Confederates line . All of these sets look really like they have been designed by TLG themselves. My favourite of your recent line of creations. I can see this working well as either a stronghold in the middle of a battlefield, or an outpost for some rebel renegades still fighting after the war's end. Nice work! Wow, I didn't realise before how much detail was within this creation as well, great job TheBrickster. I love the use of those printed tan long tiles, where are those from? I'm jealous.